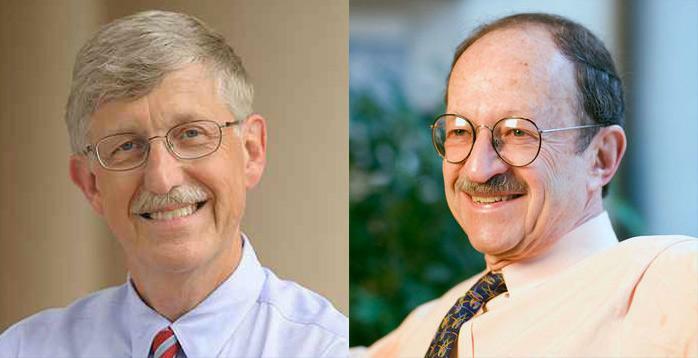 We are pleased to announce that Francis Collins and Harold Varmus will speak at the GA4GH 5th Plenary Meeting in Orlando, Florida to help launch the organization’s 5-year strategic plan on October 17, 2017. Drs. Collins and Varmus, who are both members of the GA4GH Strategic Advisory Board and hold a legacy of commitment to the organization’s mission, will discuss the importance of international open science following the launch event. Collins is currently the 16th Director of the National Institutes of Health and oversaw the Human Genome Project as Director of the National Human Genome Research Institute. Varmus is the Lewis Thomas University Professor of Medicine at Weill Cornell Medical College and former director of the U.S. National Institutes of Health and of the National Cancer Institute. He holds the Nobel Prize for Physiology or Medicine from 1989. The two will join a diverse group of leaders and stakeholders on stage to provide context and validation for GA4GH’s plans going forward. This opening session will also include presentations from GA4GH Steering Committee Chair Ewan Birney and Executive Director Peter Goodhand on how GA4GH plans to collaborate with large genomic data sharing Driver Projects to create interoperable standards that will accelerate genomic data sharing over the next five years. Following the morning sessions, a series of presentations and discussions will focus on delivering a viable, responsible framework for genomic data sharing to the community by 2022. Following the morning sessions, a series of presentations and discussions will focus on delivering a viable, responsible framework for genomic data sharing to the community by 2022, including a series of presentations on the governance and use of health data as well as on technologies and platforms for enabling secure, open science. Prior to the full Plenary Day, on October 16, meeting attendees will have the opportunity to learn about GA4GH successes to date as well as a detailed view of GA4GH work and Driver Project collaborations. Collaborative working meetings on October 15 will allow active participants on Work Streams and Driver Projects to plan next steps for the coming year. These Day 1 meetings are open to those who have been active on GA4GH Task Teams in the past year and are participating in 2017 Work Stream and Driver Project teams. In parallel, the 4th International Workshop on Genome Privacy and Security (GenoPri’17) will co-locate with the GA4GH Plenary Meeting on October 15, and will explore topics of interest to those deeply connected to the privacy and security field (separate registration is not required). For the full 5th Plenary agenda and to register, please visit our event website.